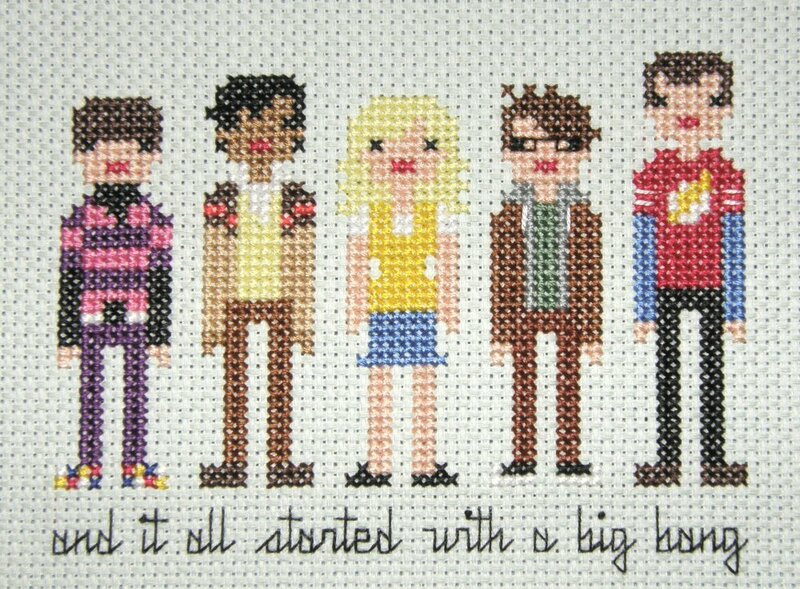 “The Big Bang Theory” is one of my favorite shows, so of course I had to stitch the characters after I found them on Etsy. It’s another design from Wee Little Stitches, and I think it came out pretty good! The room I took the photo in had really bad lighting, so it doesn’t really show up that this design is done on sea-foam green aida. It looks really good on the green fabric in person! Up next: Green Lantern, because my brother had a big man-crush on Ryan Reynolds.